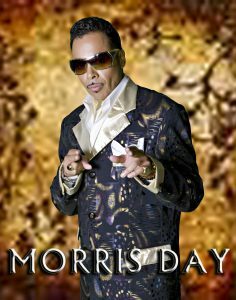 With his dynamic dancing and smooth yet gutsy, vocals, Morris Day played an essential role in the development of the Twin City dance/club sound of the 1980s. A founding member of Prince’s band, the Time, in 1981, he remained with the group until 1984 when he launched his solo career. 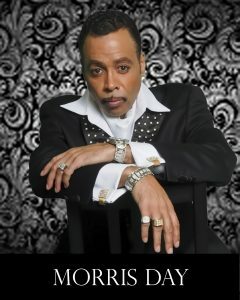 Returning for the first time in 1988, he performed and recorded with the Time from 1990 until 1991 and since 1995. 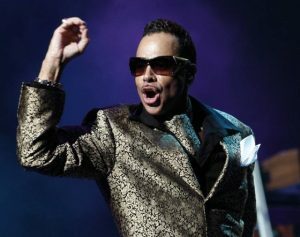 Day’s involvement with Prince traces back to 1980 when his composition “Partyup,” originally recorded when he was a member of the Enterprise, was covered on Prince’s Dirty Mind album. 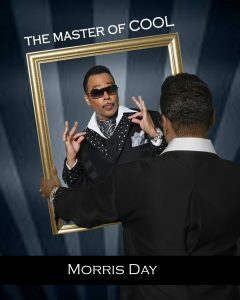 Releasing his debut solo album, Color of Success, in 1985, Day reached his apex with his second solo album, Daydreaming, two years later. 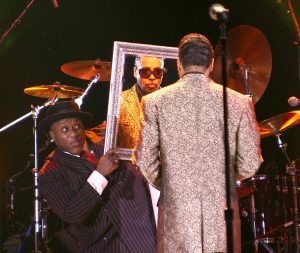 Produced by ex-Time members Terry Lewis and Jimmy Jam, the album included the chart-topping R&B tune “Fishnet.” Day released his third solo album, Guaranteed, in 1992. After Guaranteed, Day toured on-again, off-again without any new product. 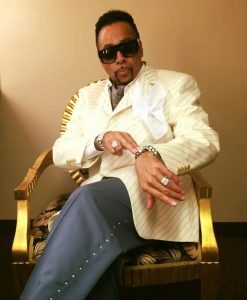 He finally returned to record store racks in 2004 with It’s About Time a mostly live album with a few new studio cuts, one including a guest appearance by rapper E-40. Day has appeared in such films as Prince’s autobio-pic, Purple Rain, in 1984, and New Attitude in 1990.